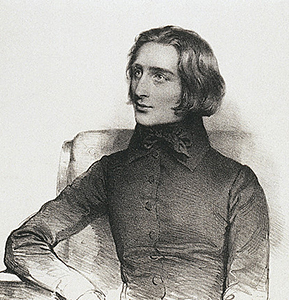 Beethoven, Liszt and Berlioz formed an explosive Romantic trio in the hands of Tugan Sokhiev and the Philharmonia Orchestra in this London concert. The opening moments of Beethoven’s Coriolan Overture made it clear that this wasn’t going to be an evening for relaxation. The Roman general’s dilemma was initially brushed with such muscular vigor and dark colors it made you wonder whether he was ever going to give in. It was quite a large-scaled formation for Beethoven, too, but Sokhiev has been a regular guest with the Philharmonia Orchestra and easily carved a convincing balance and lightness of texture, preventing our hero from tipping from grand into heavy. 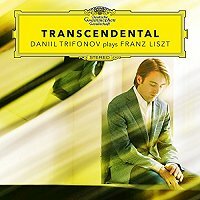 Categories: Concert reviews | Tags: Franz Liszt, Hector Berlioz, Khatia Buniatishvili, London, Ludwig van Beethoven, Marc Haegeman, Philharmonia Orchestra, Royal Festival Hall, Symphonie fantastique, Tugan Sokhiev | Permalink. Paris celebrates the 100th anniversary of the birth of the Polish composer and conductor Witold Lutosławski (1913-1994) with a series of concerts, performed by local and invited ensembles throughout the year. The Orchestre de Paris has worked on different occasions with the composer and revives a couple of his works. The Concerto for Orchestra, dating from 1950-54, remains one of his most popular works. For the occasion, at the Paris Salle Pleyel, it was somewhat awkwardly squeezed into a program which also featured Liszt’s Second Piano Concerto, with Khatia Buniatishvili as soloist, and Tchaikovsky’s rarely heard Third Suite. Categories: Concert reviews | Tags: Andrey Boreyko, Franz Liszt, Khatia Buniatishvili, Marc Haegeman, Orchestre de Paris, Paris Salle Pleyel, piano, Piano Concerto, Piotr Ilyitch Tchaikovsky, Tchaikovsky, Witold Lutosławski | Permalink. Since I first attended a solo recital by Khatia Buniatishvili in the smallish auditorium of the Cité de la Musique in Paris, hardly ten months ago, things have been going fast for the 25-year old Georgian pianist. Meanwhile she released her second solo CD (Sony 97129), media attention has soared, she was awarded the German “Echo Klassik” prize for most promising artist, and above all she has been touring extensively throughout Europe, and also recently San Francisco and Japan – either as soloist, with orchestras or as member of chamber music formations joining distinguished colleagues like Gidon Kremer, Truls Mørk and Renaud Capuçon. Buniatishvili had played Pleyel before in a concert with the Orchestre de Paris. But until now the big hurdle of a solo recital in the most prestigious concert venue in the French capital – which is currently her hometown – still needed to be taken. On 19 November it was taken, and how. 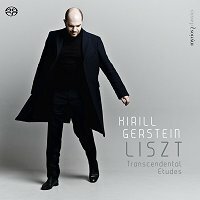 Categories: Concert reviews | Tags: Franz Liszt, Frédéric Chopin, Gidon Kremer, Khatia Buniatishvili, Marc Haegeman, Paris, Renaud Capuçon, Salle Pleyel, Sergei Prokofiev, Truls Mørk | Permalink. While most pianists would conclude their recital with the Sonata from Franz Liszt, Khatia Buniatishvili, at the Cité de la Musique in Paris, choose to open with it. She is a fearless performer. Focused and intense – this mysterious sotto voce opening seems even more daunting when it has to form the first sound to resonate in the hall – she is sure to grab your attention from the very first bars and never really let go. You may first notice the speed, the vehemence, the electrifying energy, the occasional risk-taking, too, but pretty soon she also wins you over with her thorough control of sound and color (in spite of a none too flattering instrument provided by the Cité de la Musique), her unerring ability to really nail the key notes during the hardest passages, her dramatic presentation and the utterly romantic sweep that kicks Liszt back to life. In any case, Khatia Buniatishvili doesn’t take any prisoners, but I guess most in the audience would have been willing to give their lives. She possesses the freedom to shape this music at will, yet the good news is she has a clear idea of how to use that freedom and while she may occasionally throw in a few flashes to reinforce the message, musicality prevails over empty rhetoric and circus display. Categories: Concert reviews | Tags: Cité de la Musique, Franz Liszt, Frédéric Chopin, Igor Stravinsky, Khatia Buniatishvili, Marc Haegeman, Paris, piano | Permalink.